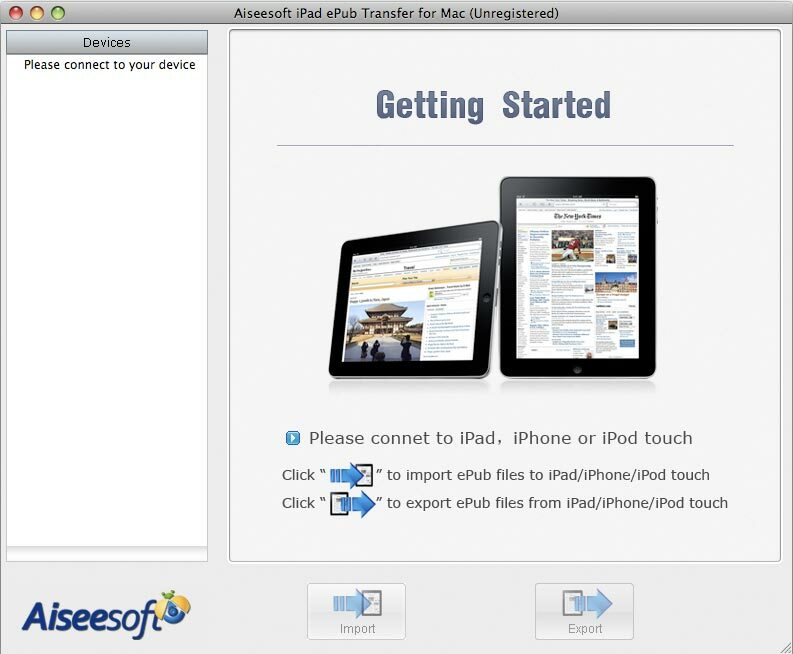 Aiseesoft iPad ePub Transfer for Mac is the professional iPad transfer tool for you to enjoy the wonderful iBooks on your iPad. This ePub to iPad Transfer can directly import the pop open book format-ePub on your local disk to iPad without iTunes. It means that you can directly transfer ePub to iPad while you connect iPad to Mac and operate this transfer.